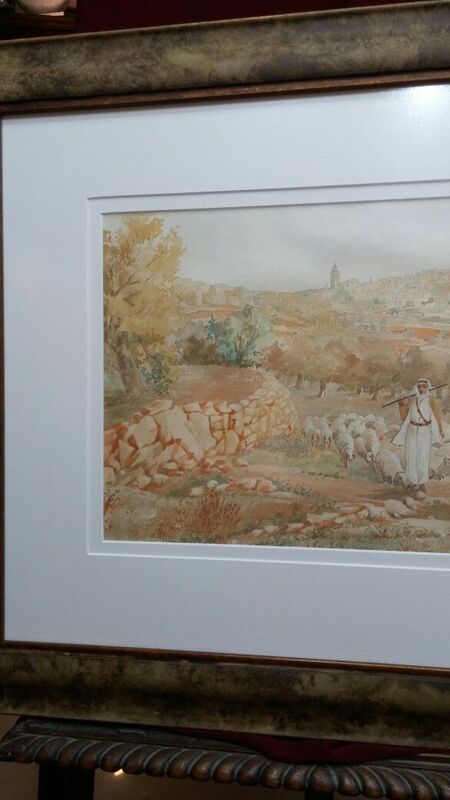 Antique early 20th Century framed watercolour depicting a Shepherd in Nazareth. 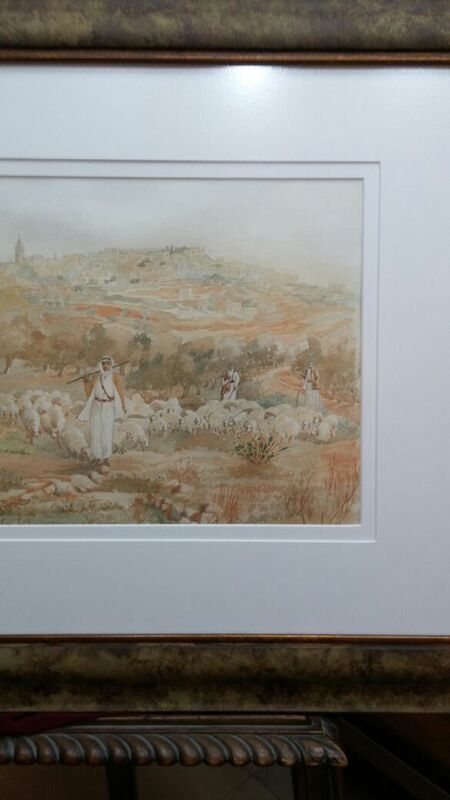 Apparently unsigned. 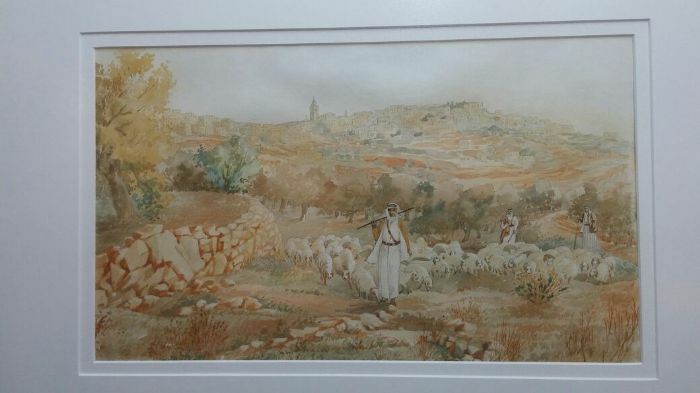 Size of actual watercolour 39cm X 23cm.